Since 1958, the charge of the Highland Hundred has remained constant: to raise the profile of the University of Memphis football program among the campus community, alumni base, and the general public and to promote the interests and general welfare of the University of Memphis. When Billy "Spook" Murphy came to the University in 1958 as head football coach, one of his top priorities was the formation of a booster group dedicated exclusively to the growth and promotion of the Tiger football program. 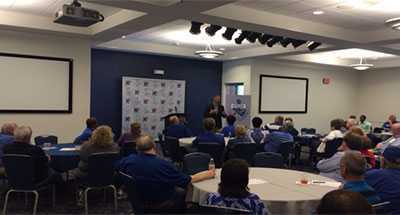 A group of local business and civic leaders who realized the value of major college football as a important community asset gathered on Highland Street near the campus and established a goal of 100 new members for the club. From this initial meeting arose our proud name - the Highland Hundred. From those humble beginnings in 1958, the club's growth has matched that of the University's football program. Today, the Highland Hundred boasts hundreds of members who are dedicated to the support, promotion and continued growth of Tiger Football. The club, once featured in Sports Illustrated, has built a reputation as one of America's most active and energetic booster organizations. With ongoing programs, activities, and special projects, we are dedicated to continuing a long tradition of supporting the Home Team - the University of Memphis football Tigers! The Highland Hundred is a diverse organization representing the entire cross-section of Tiger fans both locally and across the nation. Our membership includes not only Alumni of The University of Memphis, but also graduates of many other Colleges and Universities. 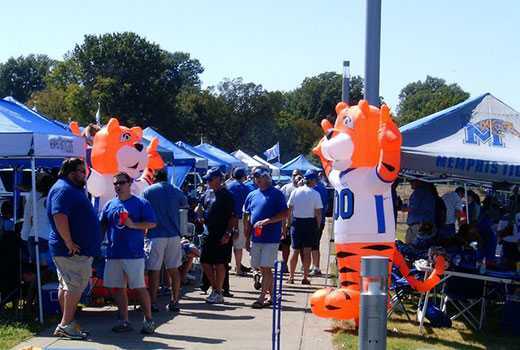 Although various backgrounds are among our members, each has one common desire: to support the Home Team - the University of Memphis football Tigers! The Bobby Wharton Labor of Love Award was created to recognize exceptional commitment and dedication to the Tiger Football program and the Highland Hundred. It is awarded each year to an individual who has demonstrated these attributes. Recipients are nominated and voted upon by the Highland Hundred Board of Directors.